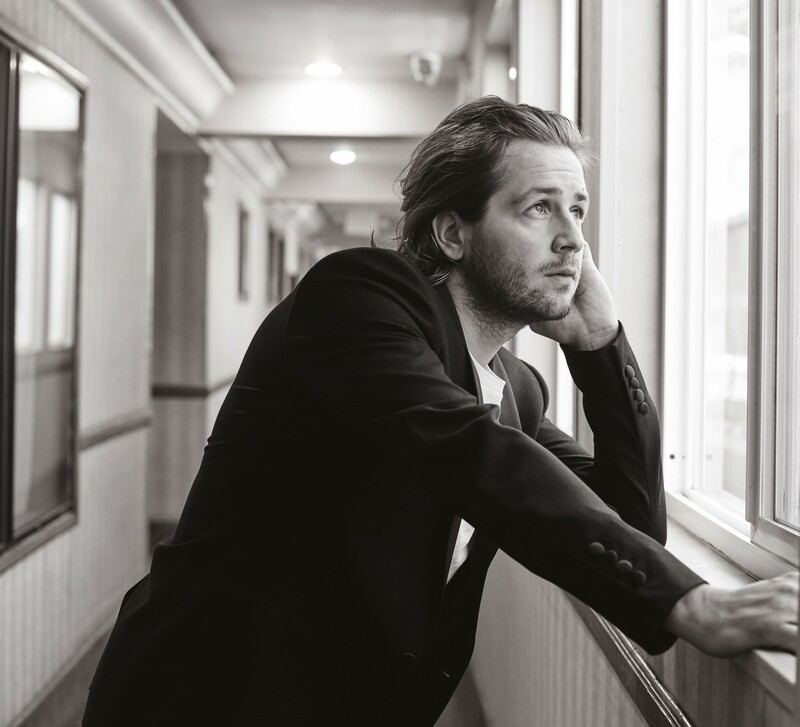 NEW York-born actor Michael Angarano has grown up in public. From being scouted by a photographer as an exuberant five year old at his mother’s dance studio, he has worked consistently ever since in a wide range of roles in both film and television. Notably, Angarano played Jack’s son Elliott in the massive comedy series Will & Grace, a recurring role over five years, and was the young William Miller in Cameron Crow’s Almost Famous. He has also appeared in 24, and, more recently, alongside UK’s Clive Owen in The Knick, a highly regarded TV serial directed by Steven Soderbergh who also directed him in Haywire (2011). Angarano is known for his interesting and diverse, sometimes courageous, choices. And now, at the age of 29, the seasoned young actor has moved behind the camera with Avenues, a movie which he wrote, directed and starred in, along with Juno Temple, Ari Graynor, Adelaide Clemens and Nicholas Braun. Set on the streets of NYC, Avenues has a minimalistic plot and a discursive roaming narrative exploring the relationships and interplay between Max (played by Angarano) and his associates. The film has received much praise on the festival circuit and is soon to be on general release later this year. Upcoming this summer, Angarano is also appearing in a Jim Carrey-produced TV series, I’m Dying Up Here, set in the 1970s and based on the hugely influential and outrageous LA stand-up comedy scene (which nurtured such talents as Eddie Murphy, Roseanne Barr, Whoopi Goldberg, Chevy Chase and Carrey himself) which is to be transmitted this June on the Showtime channel. Now based in LA – his whole family uprooted from NYC to the west coast to support Angarano in his career when he was younger – Glass spoke to him to find out more about this rising and versatile talent; in front of and behind the camera. I’ve just watched the film Avenues which I thoroughly liked. I thought it was very accomplished. I’m glad. When did you watch it? If anybody were to ask me the best time to watch the movie, it would be on a rainy day. I got that vibe from it. It seems very timeless also. The press release references Frances Ha! and Tiny Furniture. I can see that, but it also reminded me of early Scorsese or Vincent Gallo’s Buffalo ‘66. I wrote this movie when I was 21 or 22. For me, my favourite directors and movies are Carnal Knowledge by Mike Nichols, Woody Allen’s Manhattan and Richard Linklater. Before Sunrise was my favourite movie at the time, and there was just something about it that I found so refreshing where there is a lack of plot but you just watch the characters and how they interact and laugh. I also like early Kevin Smith and Hal Hartley movies which are not exactly plot heavy. You’re just watching people. I wanted a script like that. I just wanted to make a movie worth watching. I was thinking also of John Cassavetes? Even movies like Shadows by Cassavetes are really challenging because they are not presenting the characters to you in an objective way and they are not asking you to judge them. They’re not saying if this is right or wrong. Those are the characters that are so interesting to watch. Avenues has been very well received in festivals like South by South West. It’s the first film you’ve made and you’re only 29 years old, although you’ve grown up in film. I started when I was five. I moved to LA with my entire family although my family is not involved in film, but they are aware of the movies and appreciate them. I started watching movies with my dad and my grandpa and I’ve always loved it. So acting is something that I’ve always enjoyed doing. To be honest, it was just an excuse not to go to school. I always managed to work very consistently because my enjoyment was apparent – unlike some other young kids working as actors at such vulnerable ages, that don’t really want to be there. My mother owns a dance studio and when I was five she had to go to a photo shoot for a recital and she brought me along with her because I didn’t want to stay home with the babysitter. Coincidentally the little boy model didn’t show up and so they asked if my mother would be all right if the photographer took pictures of me and she agreed after asking me first. I said “sure” and they dressed me up in a rhinestone tuxedo and that’s how it happened. The photographer told my mother that she should consider sending my pictures to a model agency. Which she did. They took me on and then that was it. I did that for six months and then I got a commercial agent and started doing commercials. It’s pretty incredible to look at your CV – you haven’t stopped working since you were a child. I worked from the age of five and a half, or six, to about 20. From 20 to 22, the writers’ strike happened and I didn’t work. Once high school ended for me, I was relieved, as the number one source of anxiety in my life up until I was about 18 was keeping up to date with my curriculum at school, and so I never wanted to go to college because I knew I wanted to go into film. There is no better film school than working on a set. I was going to ask you if you wanted to go to a film school. So, you learnt everything, as a director, through being an actor? I don’t know. I think it’s very helpful but also it was a steep learning curve. On week one of Avenues it didn’t matter how much time I had as an actor and I knew how to talk to actors (which is actually a huge part of it). But I’m very deficient on some of the other technical aspects. However, I had good people around me to walk me through it. From day one to the last day, I felt like I had changed completely as a director and a film appreciator. I learnt so much. You shot it in two weeks? Yes, we shot it in 15 days. Do you have any plans to work in the theatre at all? Because I can see you do a lot of film and TV obviously; do want do anything in the theatre? I would love to do theatre and I’ve been trying to. I feel like at some point, very soon, it will happen. It’s a very interesting world. I never went to drama school so I’m not classically trained, but it’s something I would definitely love to pursue. I’m Dying Up Here is coming out in soon in the States. How was working on that? I had just worked on another TV show called The Knick which Steven Soderbergh directed and that experience was so special and singular I didn’t think I could really top it. But the second I read the plot from I’m Dying Up Here I saw majorly that it was something that could match that level of enthusiasm from a personal point of view for me. I’ve always loved stand-up comedy and I find it petrifying and fascinating. I loved the actors involved and, obviously, Jim Carrey was producing it and the ensemble was great. I understood every character; it was a drama about comedy and I just thought it was something I would love to be a part of. I’m really excited about it. What was it like working with Jim Carrey? He’s great. He’s one of five massive movie stars who are living today who are instantly recognisable, whose movies you can quote, who you can look up to, and, probably, who influenced your personality in ways you don’t even know. But he’s so humble and down to earth. He was so eager to talk to us and work with us and give us what we needed. He’s very excited about the show too and that excites me because I knew that if Jim was happy then we did something right. Do you like that 1970s comedy scene? Did you know much about it before you shot the series? Yes, I did in the sense that I’ve grown up watching Richard Pryor, George Carlin and Richard Lewis, but I hadn’t realised how compressed the 1970s stand up scene was in LA. There were two clubs that people went back and forth between and it was solely improv. I think that’s where modern comedy as we know it was really born, with people like Garry Shandling, Judd Apatow and Sarah Silverman. Do you come to the UK much? I haven’t been in a while but I spent some time there and I do love it. I spent a little time in the countryside. You know, in my wildest dreams I wasn’t expecting to see such a beautiful place as the countryside over in the UK. There’s nothing quite like it here. I love Glastonbury. Do you have any more plans to write or direct? Yes, I’ve been writing stuff for the past year or two since I’ve finished Avenues. I think I have a great luxury because you know I’m still an actor and I still love acting. I would like to direct, but I’m in no huge rush and I am aware that these things take time. I wrote Avenues when I was 22 and I made it when I was 26. When you look at the film now, do you think “I’ve really changed a lot since then”? I think that I changed from when we filmed it. That character who I wrote was maybe a version of myself at one point, but it was clear to me, as we were in pre-production, that this was no longer myself; but that this was a character that I related to very strongly at one point. Writing it was a really cathartic experience; I didn’t work from age 20 to 22 and I had these things that I wanted to say and hadn’t been able to express, so that’s where this script came from. Apart from your own films, what have you got lined up for the rest of the year? I just did a film called In A Relationship, starring Emma Roberts, myself, Dree Hemingway and Patrick Gibson. That was a really great experience with a fun group of people. Other than that, I’m truly excited to talk about Avenues because it’s something I’ve been living with for so long.